‘Post-Internet Art’ is a sticky term. For at least the last five years, it has been thrown around as a label, and trumpeted as the defining artistic wave of our times. You can’t help but feel slightly cynical. Much of the work that falls under its umbrella is either gimmicky – in that it incorporates images from video games for the sake of it – or drunk on critical theory. What’s certain is that very little of it addresses computer technology in anything more than a cosmetic way. There are of course, exceptions – think of Harun Farocki’s documentary films, for example. But as far as I’m aware, no artist working today is exploring new technology as comprehensively and excitingly as Suzanne Treister. 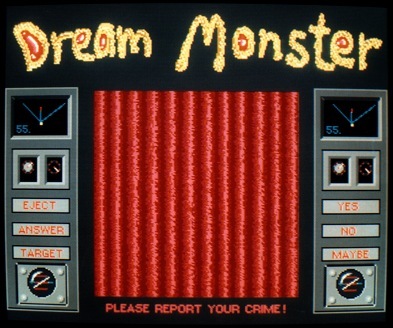 Treister became interested in virtual imagery and video games in the 1980s, when ‘the mainstream art world had no engagement or interest’ in them. She looked at the warlike nature of early video games, and how it might begin to affect our culture on a wider scale. Now, two decades on, technology much like the flight simulator games that became popular in the 1990s is used in pilot training, and to operate attack drones in war zones across the world. Similarly, Cyber warfare and fantastical mass spying are no longer the preserve of science fiction. Drones and surveillance culture in general have since become key themes in Treister’s art. Long before the Edward Snowden leaks, she was addressing the NSA and GCHQ’s data collection programmes. ‘I can’t remember an exact moment in time when I became aware of it,’ she says, but ‘when Facebook started off it was clear to me that all this data would be accessible, collected and able to be cross-referenced.’ For years, many wrote her off as a paranoid conspiracy theorist. But, as she confirms, much of the information leaked by Snowden was actually readily available if you were prepared to look for it. This included various libraries, film screenings and artworks representing different ‘pavilions.’ It also took in a series of lectures by speakers including the anarchist philosopher John Zerzan and Jim Channon, the US Army officer and ‘futurologist’ famously played by Jeff Bridges in the film The Men Who Stare at Goats. 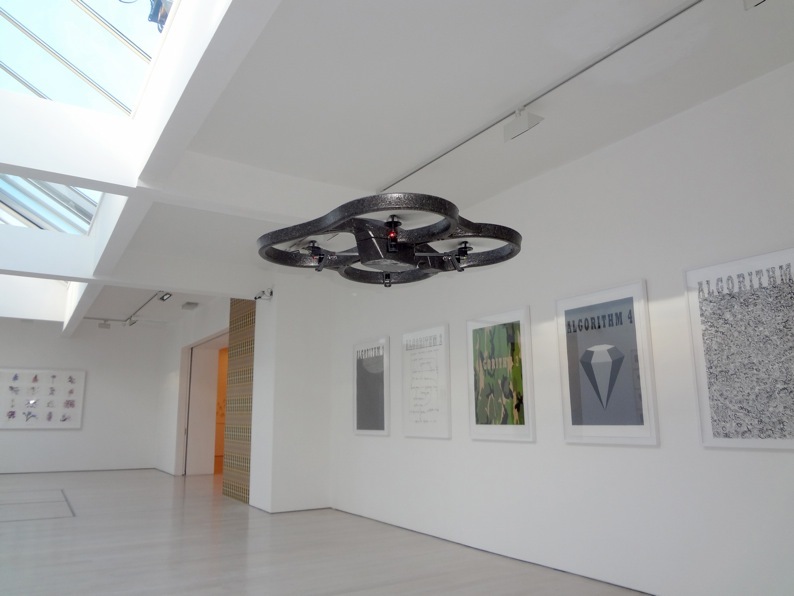 At the opening of her most recent London exhibition, she even used a remote-controlled drone to record the event and presented the resulting film as an exhibit. Interestingly for an artist so concerned with the consequences of technology, her work in the last decade has tended to stick to traditional materials. So, rather than continuing with the game-like scenarios of the Brodsky project she now mostly uses pencils, ink and paint. ‘For the most part,’ she says, ‘I stepped outside of using new technologies as a medium in order to maintain criticality.’ As examples, take her 2010 drawing of the US National Security Agency building burning down, or the psychedelic designs for the tarot cards that accompanied her Hexen 2.0 (2009–11) project.